Ronna returns to Cabin Fever Clay Fest for the second time in two years. She lives in Bellevue, Washington, with her husband Jordan and two sons. Her work is uniquely “Ronna” and it is obvious that she loves what she does and enjoys sharing her techniques with her students. 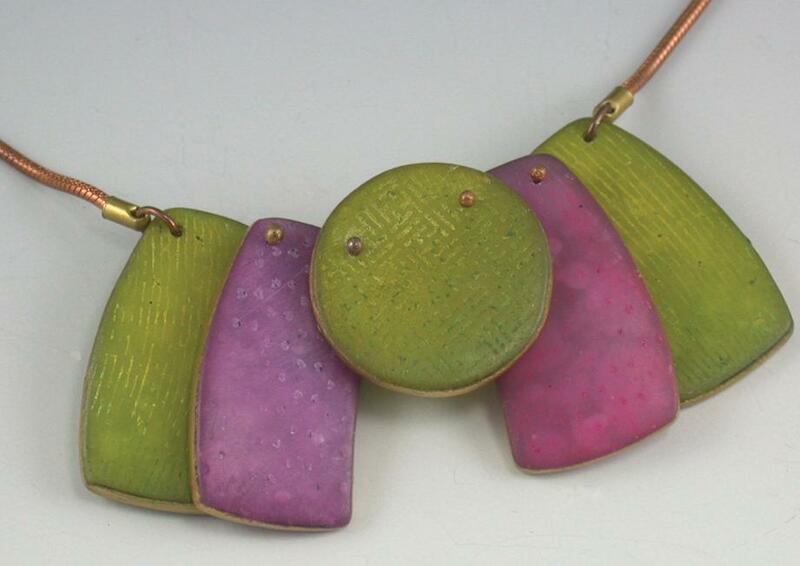 Ronna will be teaching: Wireworking for Polymer Clay Artists on Tues. 22 Feb. at 8:00AM and Wed. 23 Feb. at 1:00PM. If you are tired of paying for store-bought mass-produced clasps, learn how to make a variety of clasps that are a beautiful part of the overall design rather than looking like an afterthought. 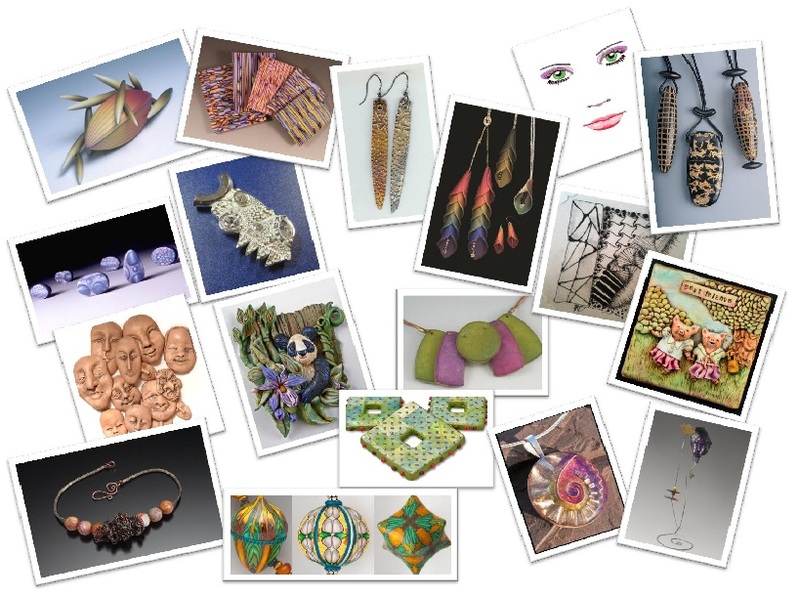 In this class, students will also learn how to make their own earwires, headpins and eyepins for earrings and other jewelry applications, and how to finish a necklace with museum-quality techniques, including making crimp covers with wire and using wire embellishments on leather and fabric cording. Students will also learn how to antique wire with liver of sulfur. Don’t worry if you’ve never worked with wire before. Ronna will get you up and running! To register for CFCF and Ronna’s workshop, click here for the registration form. You can learn more about Ronna’s work by visiting Youtube here, here, and here. Laura Tabakman was born in Argentina,and in 1989 moved with her family to USA. Although her background is in Architecture, she was always more inclined towards art. She’s been taking art and craft classes since she was a young girl. She truly believes that adults have the same passions as a ten or twelve year old. Learning to weave at ten and working with clay and wire at twelve, Laura also loved going to her dad’s workshop to build stuff and is still amazed every time she creates something from nothing with her own hands. Laura works in mixed media, fiber arts and polymer clay. She feels more comfortable working in three dimensions, using basic forms evocative of nature and primitive cultures. Time touches, alters and decays things. Seeing the marks of the passing of time moves her and she strives to incorporate these looks into the work. In the past years, she decided to merge her fiber and polymer clay interests creating mixed media sculptures and installations. Her work has been featured in several publications: 400 Polymer Clay Designs– Lark Books, Polymer Clay Creative Traditions by Judy Belcher, Polymer Clay Color Inspirations by Lindly Haunani and Maggie Maggio, and two articles in Polymer CAFÉ magazine – Two Clay or not Two Clay article, Feb’ 09 issue and ReversibleTransfer Pendant article, Oct ’08 issue. 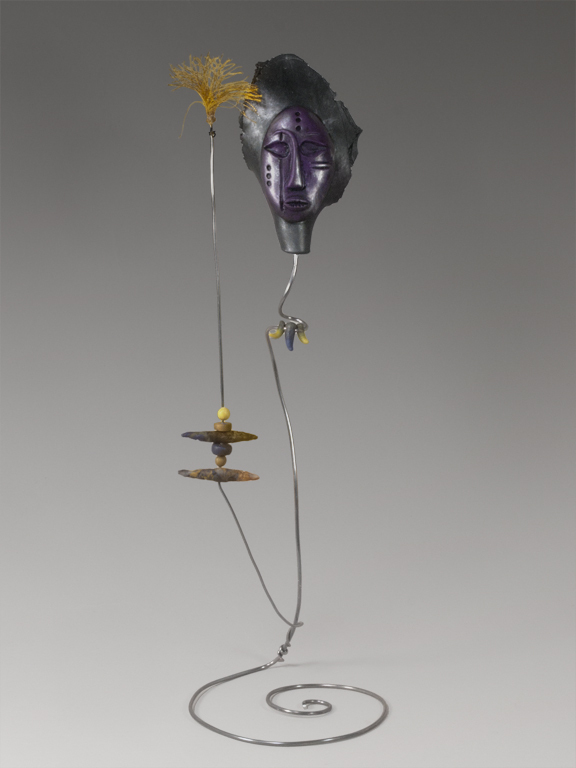 In this class students will make three dimensional mixed media sculptures. We will use some molds as a starting point, but students will develop their own personal vision from there, with each finished piece showing her/his own personality and message. We will use polymer clay, wire, fibers, papers, beads, etc. Students are also encouraged to bring found objects or any material they would like to incorporate. This class is a great way of getting your creativity flowing and open new paths for your own work. To register for Laura’s workshop and other CFCF classes, go to the registration form here. possessed of warm hearts & an elegant air. unflinching & valiant when put to the test. seek beasts to apply, who are brave, true & rare. Her CFCF 2011 pre-conference workshop is entitled “Vintage Texturing and Sculpting/ Tile Stories.’ In her workshop, you will learn to create the vintage looks that bring you back to the romance of old illustration, toys of a simpler era and the colors of pressed flowers. Using a tile as a starting point we’ll sculpt in relief, use ‘undercutting’ to create deep linear definition, texturing for lighter variations in line. There are wonderful ‘accidents’ that turn into lovely surprises. I often add banners of text, adding more contrast & charm. We’ll back the tile with felt & add a pretty vintage-style ribbon for hanging. The painting technique involves applying oil paint, rubbing, & wiping in several steps. The way the image emerges as the steps progress is truly exciting! This is the first ever offering of this workshop…don’t miss it! There’s still spaces available for you to attend her workshop. For registration information and form, click here…time is running out! Don’t miss your chance! CFCF 2011: A Bevy of Color and INSPIRATION! Cabin Fever Clay Fest registrations are coming in and workshops are filling. If you haven’t yet registered, don’t hesitate…send it in as soon as you can! Lots of great classes to choose from…and you can add up to two(2) more, filling your entire CFCF experience with creativity! Click here for the Cabin Fever Clay Fest 2011 Registration Form including the conference and pre-conference. Judith Skinner is coming out to teach…Julie Eakes and Doreen Kassel are both NICHE Award Finalists, and Jeffrey Lloyd Dever and Lindly Haunani are previous NICHE Award winners! And we’ve got many other talented award-winning instructors who are eager to share their knowledge and creative sparks with you…don’t pass up this opportunity! CFCF 2011: REGISTRATION NOW OPEN! WORKSHOP DESCRIPTIONS HERE! Registration is now open for CFCF 2011. Registration forms can be found by clicking Cabin Fever Clay Fest 2011 Registration Form. Registrations are taken on a first-come, first-registered basis using the envelope postmarked date as a reference. Below are the descriptions of the pre-conference workshops followed by the regular conference workshops. You can register for pre-conference, the CFCF conference or both. Please read the form carefully and follow the instructions. Email Kathryn at cabinfeverclayfestival@yahoo.com with any questions you may have. We look forward to having you join us in the fun! 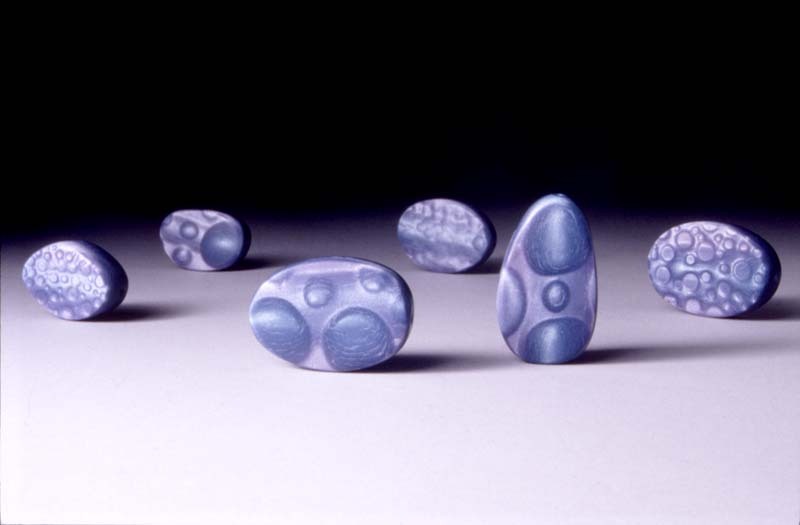 This seven hour workshop will focus on making four different kinds of stone settings. 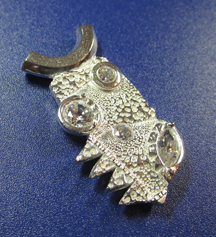 The stones will be set in a Studio Sampler that can be worn as a pendant or used a reference tool in the studio. Registration forms can be found by clicking Cabin Fever Clay Fest 2011 Registration Form. 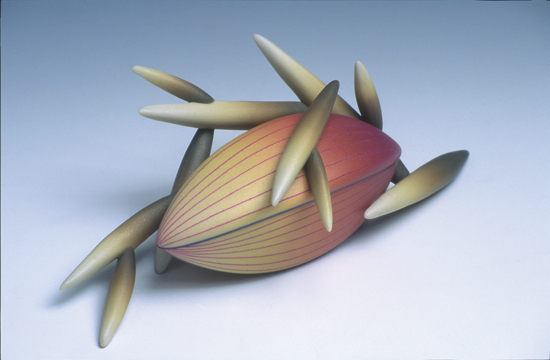 There’s a wide array of forms and shapes that can be created as imaginative vessels, from traditional boxes to free-form sculptural pieces. In this class we will design and build hollowware vessels, fashioned over original forms of your own creation. We will use multi-cycle curing and layer-building techniques to construct various vessels with lids. Surface ornamentation and finishing will be discussed as time allows. NOTE: This is not a beginner’s class. A good working knowledge of polymer clay is a prerequisite. Julie is quickly becoming one of the most sought after caning instructors and has just been selected as one of the NICHE Award Finalists. 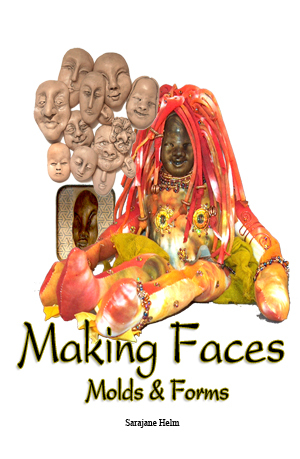 In this full-day workshop, she will teach students how to make a complex face cane, developing features as you go. This is not a workshop for beginners. Photo to come on this workshop. Lindly will walk you through making three different skinner blend canes – with color coordinated lights and darks – that will be combined to make a dynamic version of a Damascus Ladder. Strategies for constructing drum beads (which you could choose to make into a sampler bracelet) and flat laminated pieces will be demonstrated along with some valuable finishing techniques. Photo to come. In this workshop we’ll make a tile, or tiles, depending on the subject matter you choose. 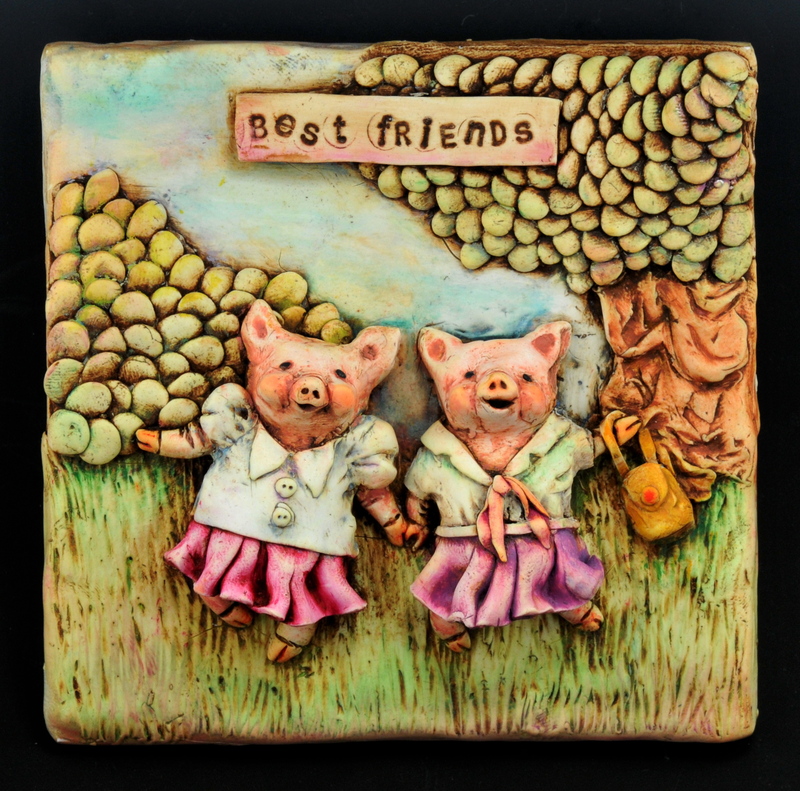 Learn to take a ceramic tile & create a design or a ‘story’ on the surface, using polymer clay in relief. I often use letter & number stamps to add interest & help tell that ‘story’, or just to add an inscription or visual interest to the tile. The tiles are finished with a felt backing & a saw tooth hook, or can be displayed on an easel. My pieces are texural & whimsical, yours can be as silly or serious as you are. After the ‘scene’ is sculpted onto the tile & baked, we’ll use a technique involving oil paints to bring out all the texture, incising & general charm of the piece. The way the art POPS after the technique is applied & then the subtle colors that the oil paints bring to the tile is truly exciting! 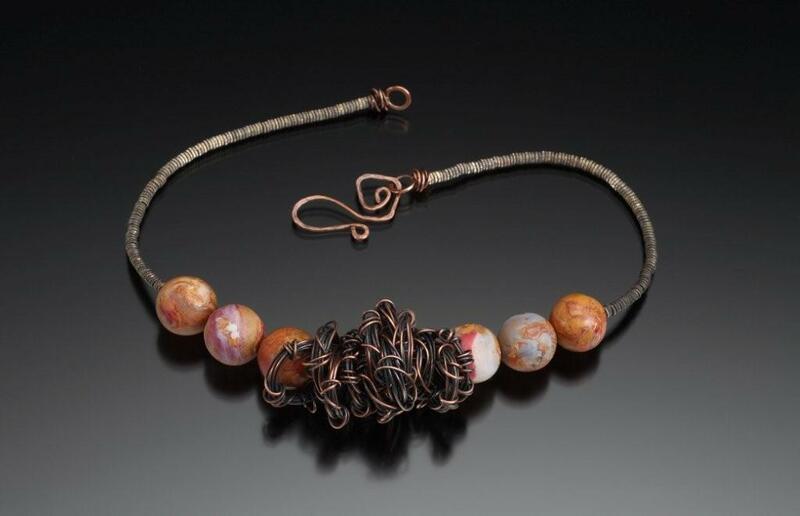 This workshop will introduce you to simple techniques for working with metal clays. Using If you’ve wanted to try them but were afraid to, here’s an opportunity to get your feet wet. Create polymer texture plates and your unique style in metal clay! Japanese lacquered surfaces that decorate many Japanese works of art are elegant and precious to look at. In this class we will use Japanese image stamps, foils and liquid clay to recreate the look of these treasures. 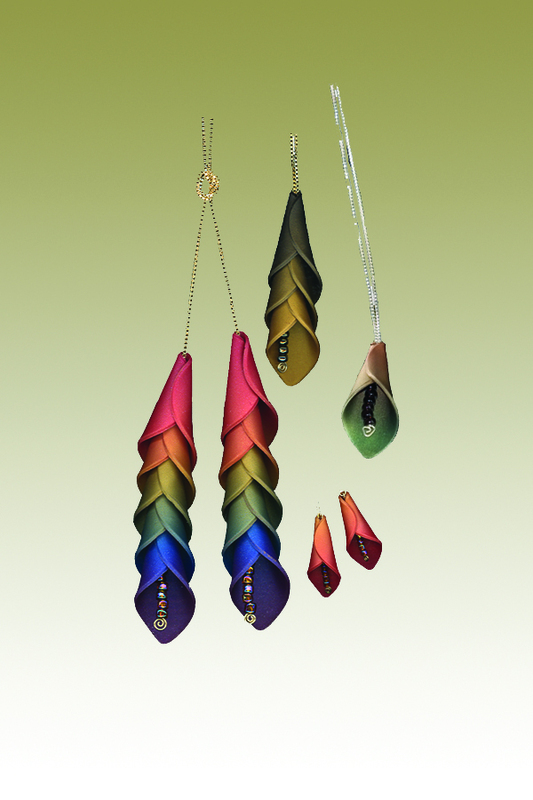 Students will complete one or more pendants using these techniques. Several other applications will be demonstrated. In addition, students will learn proper sanding, polishing and finishing techniques as well as working with rubber cording, a perfect complement to these beautiful pieces. 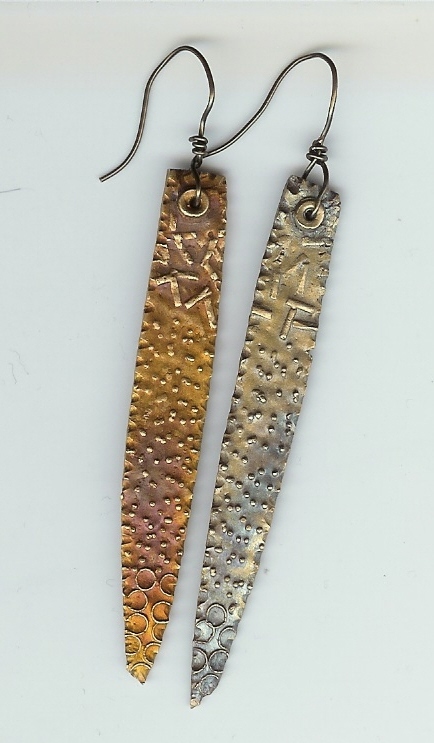 In Judith’s workshop, you will design and create contemporary art jewelry using the Skinner blend (of course). We will complete several of my production pieces during the workshop, including “Calla”, “Crescendo” and “… in the Wind”. In addition, I will describe and demonstrate many other pieces including “Threads and Clay”, “Glitz and Glitter” and “Geometry”. A handout with detailed instructions and photographs will be provided. And of course, she’ll review the Skinner blend and variations. 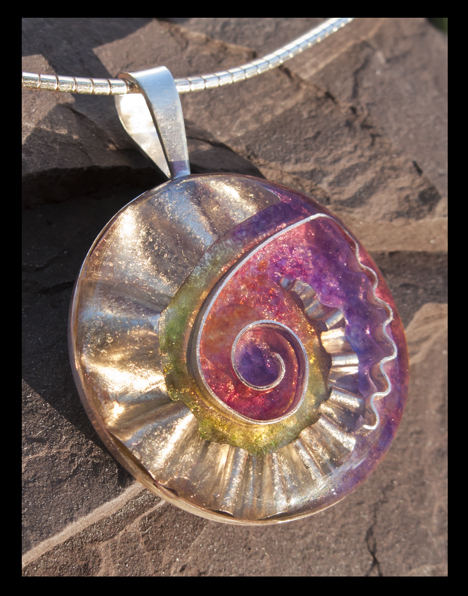 You’ll learn to make beads with my Translucent Colors – oil paints, etching and colored graphites. This necklace will have 5 beads so it may be possible to finish within four hours. You may use my shapes or you can use your own. We’ll make colored clay with oil paint, then etch it, cut out our bead shapes, then bake them. Sand the edges and apply 18K gold leafing pen plus varnish. We’ll add the oil paint and colored graphite and burnish it. We’ll drill the perfect sized holes and add ball covered headpins and heishi beads to keep the necklace beads hinged. After it’s been put together, you will attach the snake chain, the clasp and the ring. You may connect your necklace with silver or antique copper. Both kits are available in the store. I know you’ll enjoy your new necklace! Zentangle is an easy to learn and relaxing method of creating beautiful images from repetitive patterns. 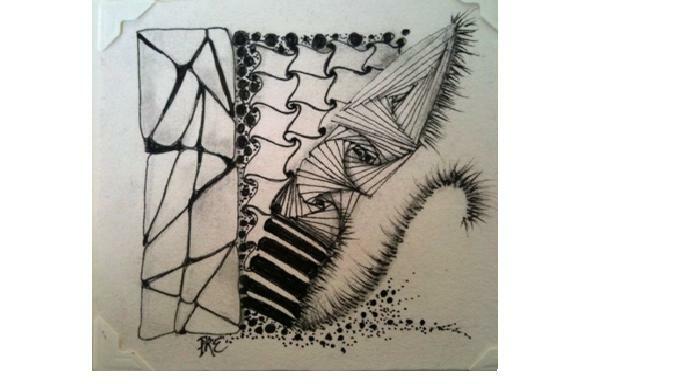 Zentangle is so easy to learn that it’s tempting to think that you understand it all. You might be amazed at how much more there is to it… so join Patti for this introductory class that will keep you coming back for more! Can easily be used to inspire wonderful polymer pieces! Learn the basics as taught to her in an in-depth certification course she recently completed. It’s repetitive and beautiful and satisfying, and a healthy way to leave the world behind, which makes it important. A Zentangle Starter kit is included in the price, plus we will have more supplies available for purchase. 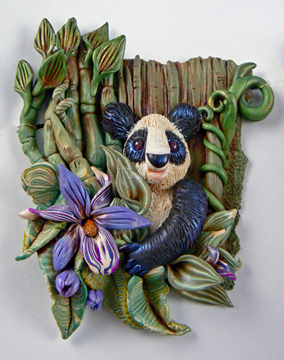 Christi once again puts your imagination Polymer clay and mixed media, animal and plants and flowers. Whoo hoo! Final piece can be a wall piece or pendant. 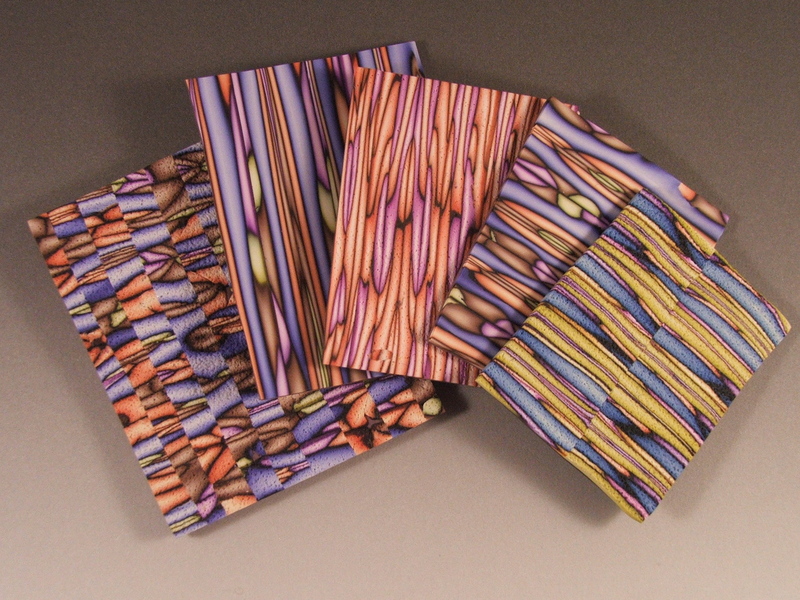 In this class you’ll start by creating polymer clay sheets that resemble hand-dyed fabric. Taking a “layered design” approach, you’ll further decorate these sheets and, along the way, learn new tips and techniques for adding depth and dimension. Finally, you’ll choose among your polymer clay ‘fabrics’ to create an art quilt pendant. Bring beads, wire, and metal charms to make a mixed media piece. Photo to come. Registration forms can be found by clicking Cabin Fever Clay Fest 2011 Registration Form. 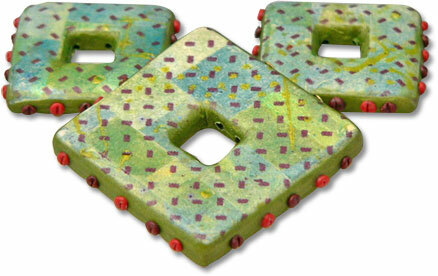 We’ll be making colorful big beads with cores of ultra-light clay in some great new shapes! Using your own cane(s) from home, and/or one that we will construct quickly in class, we’ll make several veneers and apply them to both baked and unbaked forms. 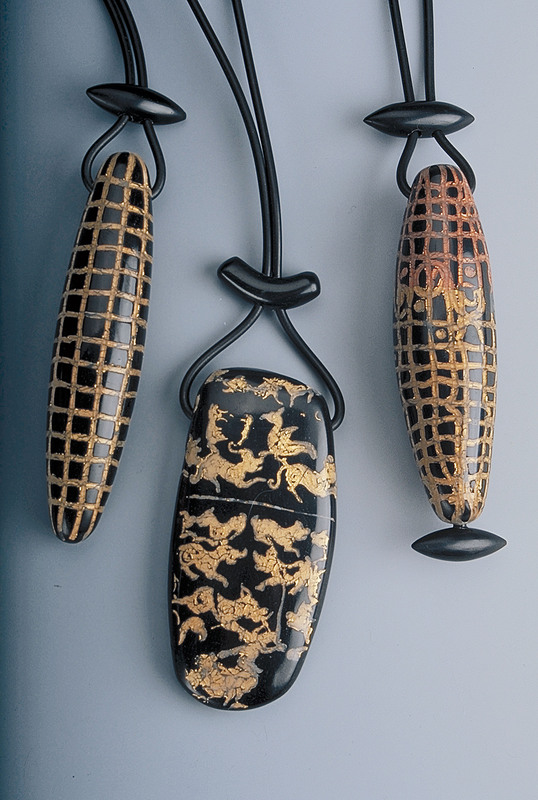 We’ll pinch, carve, inlay and backfill to get a variety of fun beads with strong graphic interest. Registration forms can be found by clicking Cabin Fever Clay Fest 2011 Registration Form. 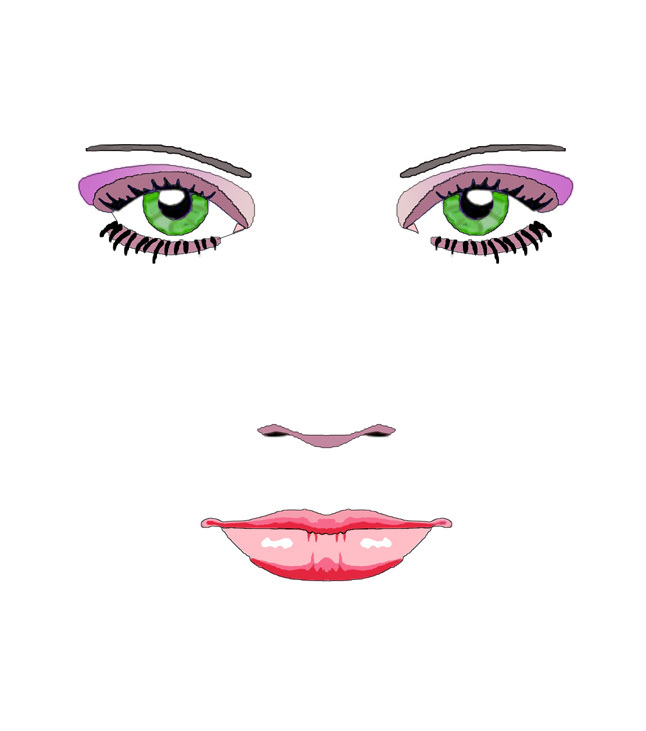 Cindy will teach you a technique that can easily be mistaken for vitreous enamel. To achieve a true cloisonné look-alike, you’ll learn how to shape wire and add it to asterling silver bezel, then how to achieve a genuine sparkle and clarity in the colors of your choice. You’ll also learn valuable tips for blending colors, a how-to on using a quick-dry and super-clear resin, and the best finishing touches for that final glassy shine. At the end of four hours, you’ll have a gorgeous silver pendant and new skills. A class kit will be available in the CFCF store. The kit price will be based on Feb. 2011 silver prices (would be $22 right now) and includes a 30mm round sterling silver blank bezel pendant, 12” fine silver bezel wire, and assorted other materials. A handout with detailed instructions will be provided. Registration forms can be found by clicking Cabin Fever Clay Fest 2011 Registration Form. In this class students will make three dimensional mixed media sculptures. We will use some molds as a starting point, but students will develop their own personal vision from there, with each finished piece showing her/his own personality and message. We will use polymer clay, wire, fibers, papers, beads, etc. Students are also encouraged to bring found objects or any material they would like to incorporate. This class is a great way of getting your creativity flowing and open new paths for your own work. Registration forms can be found by clicking Cabin Fever Clay Fest 2011 Registration Form. Tired of paying for store-bought mass-produced clasps? Learn how to make a variety of clasps that are a beautiful part of the overall design rather than looking like an afterthought. Students will also learn how to make their own earwires, headpins and eyepins for earrings and other jewelry applications, and how to finish a necklace with museum-quality techniques, including covering crimps with crimp covers or wire and using wire embellishments on leather and fabric cording. Students will also learn how to antique wire with liver of sulfur. Don’t worry if you’ve never worked with wire before. Ronna will get you up and running! Registration forms can be found by clicking Cabin Fever Clay Fest 2011 Registration Form. For additional information on CFCF 2011 or any other events we sponsor, please email us at cabinfeverclayfestivals@yahoo.com. We look forward to hearing from you!